Skyline are pleased to offer for rent this well appointed self contained ground floor apartment. The property benefits from an open plan living area with modern fitted kitchen, two bedrooms and bathroom with white suite. Outside there is a generous enclosed rear garden and off street parking to front. The convenient location offers walking distance access to Newtownards town centre and easy communting access to Belfast. Available immediately, early viewing is strongly recommended. 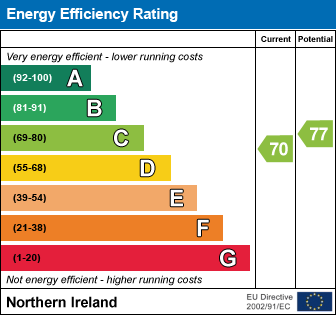 I am interested in 6 Corry Street, Newtownards. Please contact me about this property.